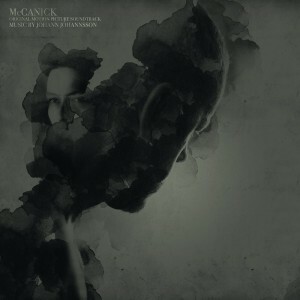 Milan Records’ single LP release of composer Johann Johannsson’s original score to the 2013 crime drama McCanick. Release date: January 28, 2014. Limited edition pressing of only 1,000 copies. Digital download card is included. This is Milan Records’ first vinyl release with composer Johann Johannsson. Directed by Josh C. Waller, McCanick tells the story of a narcotics detective on the hunt for a seemingly harmless young criminal who knows a truth about the cop’s past. Acclaimed Icelandic composer Johann Johannsson (Prisoners) produced the beautiful, elegant and haunting score to this thriller/drama. In the categories of Max Richter, Clint Mansell, Dustin O’Halloran, Cliff Martinez, Johann Johannsson belongs to this generation of composers who combines classical orchestration with electronic music. McCanick is released theatrically in the USA in March of 2014.